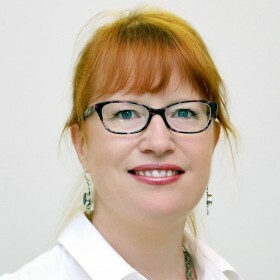 Emma Djukic is a Clinical Psychologist at RWA Psychology,treating sleep problems in adolescents and adults from our practice in northern Sydney. As we sleep, our brains pass through five stages. Together, stages 1, 2, 3, 4, and REM or rapid eye movement sleep (which is stage 5) make up a sleep cycle. One complete sleep cycle lasts about 90 to 100 minutes. During an average night’s sleep, a person will experience about four or five cycles of sleep. Stages 1 and 2 are periods of light sleep from which a person can wake up easily. During these stages, eye movements slow down and eventually stop, heart and breathing rates slow down, and body temperature decreases. Stages 3 and 4 are deep sleep stages. It’s harder to wake someone up during these stages, and when awakened, a person often will feel groggy and confused for a few minutes. These are the most refreshing of the sleep stages; this is the type of sleep we crave when we’re very tired. This is when the body releases hormones that contribute to growth and development. The final stage of the sleep cycle is called REM sleep because of the rapid eye movements that occur. During REM sleep, other physical changes take place. Breathing is rapid, the heart beats faster, and the limb muscles don’t move. This is the stage of sleep when we have our most vivid dreams. Sleep is necessary for human health. Elite athletes prioritize sleep just like training or eating well. Losing sleep can reduce our resistance to diseases and infections, reduce mental and physical performance, and just make you feel bad. Being kept from sleeping for too long can even lead to death. During non-REM sleep our body rests, gets back to ‘homeostasis’, and releases growth hormone to allow for healthy growth and development. REM sleep is important too – this is the time during which we dream. Research suggests that dreaming allows us to be better learners, and has other benefits. How Much Sleep is the ‘Right Amount’? The amount of sleep that we need to remain healthy and function well changes as we grow older. Babies under 1 year require about 14-18 hours over a 24-hour period. Toddlers do best with between 12-14 hours. By primary school children need about 10-12 hours. In high school the sleep requirement is 8-10 hours per day. As adults we need about 8-9 hours sleep per day. There are a few factors that can influence the sleep/wake cycle of adolescents. Firstly, as children move into the adolescent years there is a shift in the circadian rhythm (the body clock that tells us when to be awake or asleep). Typically during puberty the sleep hormone melatonin is released later resulting in a sleep phase delay of about 2 hours. That is adolescents don’t feel tired until later in the evening and may be difficult to arouse in the morning. Social changes can also impact upon how well young people sleep. Academic load, after-school activities, and social media compete for time. Often sleep is bumped to the bottom of the list of priorities. Other factors influencing sleeping patterns can include illness and medical conditions, mental health problems such as anxiety and depression, and sleep disorders such as restless leg syndrome and obstructive sleep apnoea. What Happens When We Don’t Get Enough Sleep? Cognitive: difficulties with planning, time management, concentration, problem solving, higher level and complex thought, and problems with storage of information (memory). Physical: impaired co-ordination, weight gain (risk of obesity increases), and impact on the immune system. Emotional: mood swings, irritable, anxious, depressed, restless, and hyperactive behavior. Impact at school: Loss of engagement and motivation in school work (poor concentration and attention) – impact academic performance – can in turn contribute to mood disturbance (anxiety and depression) which further fuels the problems. No TV, computer, or phone use for 1 hour prior to bedtime. 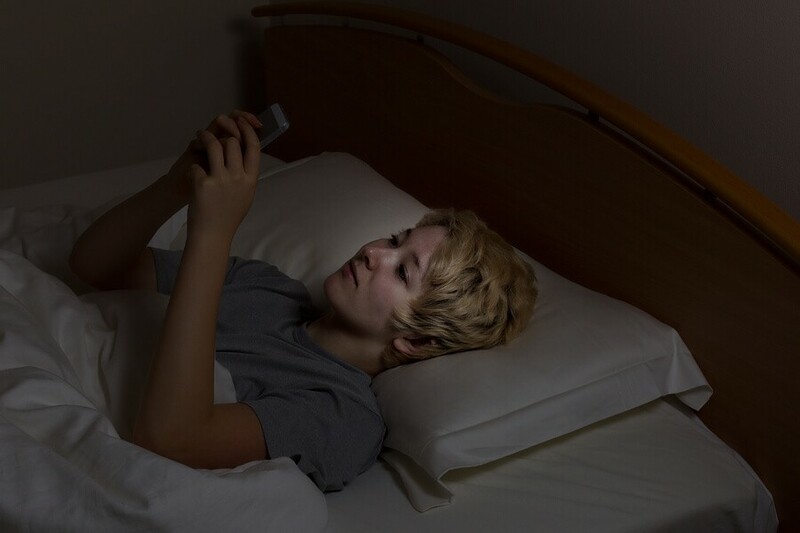 Monitor mobile phone use in bed – start reducing 1 hour before bed. Reduce the brightness of screens and hold screen at least 36cm from face. Avoid caffeine, sugar, and spicy foods for 3-4 hours before bedtime. Maintain a regular and relaxing bedtime routine. No vigorous exercise for 1 hour before bedtime. Eat 2-3 hours prior to bedtime. Create an environment that encourages sleep. Keep lights dim in the evening, and open curtains to allow bright light into the room in the morning. If you absolutely have to nap, make sure it’s for no longer than an hour. Allow sleep-ins on the weekend/holidays if necessary, but no longer than 2 hours past usual wake time. Educate your child about the importance of sleep. Teach them that sleep isn’t something to try to fight off or avoid, and shouldn’t be de-prioritised for other activities. Problem solve with your child if other activities are ‘competing’ with sleep time. If you are experiencing sleep problems with your adolescent that you aren’t able to resolve with these techniques, consider contacting RWA Psychology to seek professional help.